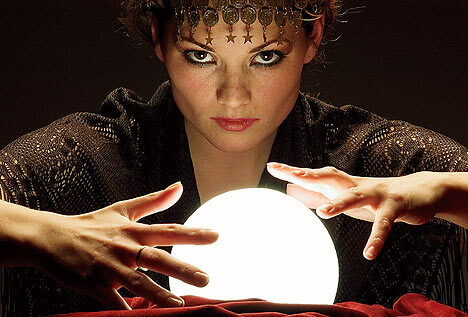 Mark Twain once said,"Prophesy is a good line of business, but it is full of risks," and "It is difficult to make predictions, especially about the future." In the Bureau of Economic Analysis’ (BEA) recent statement that the GDP of the US grew by 2.3% in the second quarter of this year, it isn’t predicting the future, but the past. And Twain was right, even that is hard. Initial GDP growth numbers are not actual data; they are the output of statistical models. That’s why the BEA has to revise them in a month and again years later. Most people pay attention to the first estimate, but the real interesting information comes from the direction of the miss. Most math models will miss on the high side as the economy heads into a recession and the gnomes will revise the numbers downward. In an expansion, they will miss on the low side and be revised upward. Followers of Austrian economics don’t want to be guilty of throwing data stones at the mainstream’s glass models because we appreciate how hard forecasting is. Hayek and Mises argued for qualitative forecasting instead of quantitative because the numbers of variables are too large and the data needed doesn’t exist. Qualitative forecasting doesn’t provide numbers or percentages, but merely states what kind of economy will follow next. For example, Austrian followers can have the courage to invest in the pit of a recession when mainstream economists are screaming like little girls that the world is ending because we know that a recovery is likely. And when mainstream economists see nothing but roses and blue skies, Austrians see them as signs of the impending recession. But we can’t tell when. ...forecasts of inflation and GDP growth have been very poor by all methods... GDP growth forecasts are likewise capturing less than 10 percent of the actual variation in growth... In sum, what do these findings say about the quality of DSGE models as a tool for telling internally consistent, reasonable stories for counterfactual scenarios? Not much....DSGE models are very poor in forecasting, but so are all other approaches. The lack of forecastability is not, however, evidence against the DSGE model and indeed can be evidence in favor of it. Monetary policy was characterized with a strongly stabilizing rule in this period and the model implies that such policy will undo predictable fluctuations, especially in inflation. We... conclude by repeating that forecasting ability is not a proper metric to judge a model. Perhaps if they understood the economy better their models would forecast more accurately. The Fed models are dense with very sophisticated math. Physicists won’t be impressed, but biologists will. Still, as Mises used to say, models are just prose economics translated into symbols. The models are only as good as the prose from which they came and in the case of all mainstream models of the economy the prose is pretty sappy. I’ll give the new modelers kudos for attempting to add the time dimension, but times series modelers had done that for a while. And they abandoned the nonsense of perfect competition in favor of “monopolistic” competition, or the real world. The DSGE model the Fed uses even divides the economy into intermediate and final production, which is a baby step toward the stages of production in Austrian economics. But the modelers still lean on the outdated correlation between employment and inflation called the Phillips curve. And they rely on shocks (random events) to knock the economy out of equilibrium and sticky wages and prices for keeping it off balance. Finally, they still need the help of actors in the market with perfect foresight. With all that baggage, it’s amazing that the output from the models is as accurate as it is! The inaccuracy of these models keeps mainstream economists from ever seeing a recession approaching. But stock market bucks in sync with the business cycle, so mainstream GDP numbers and forecasts can’t help us. That’s why we need to pay close attention to the Austrian business-cycle theory to know when to leap off a bucking bull market.